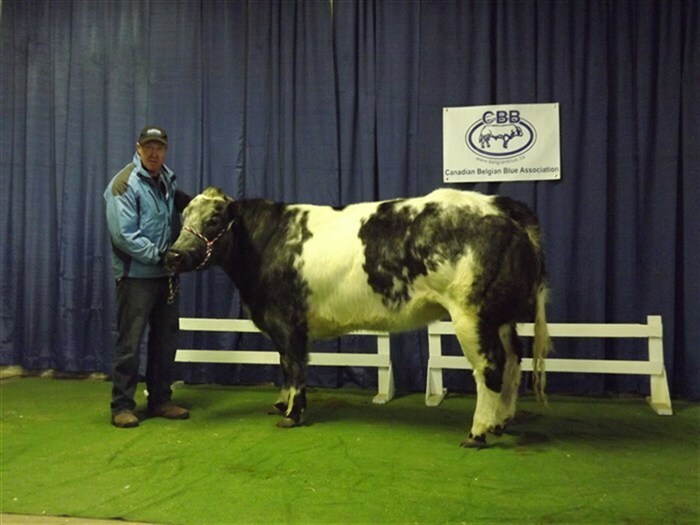 Year after year Belgian Blue Breeders of Saskatchewan have exhibited their Belgian Blues at Agribition, but this year it has been special and their efforts paid off. 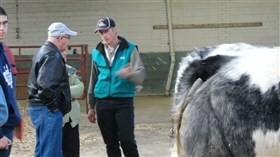 Ken Miller and Sam Dunlop's crop of young bulls attracted a lot of interest from commercial breeders. All but a couple sold on the fair grounds. 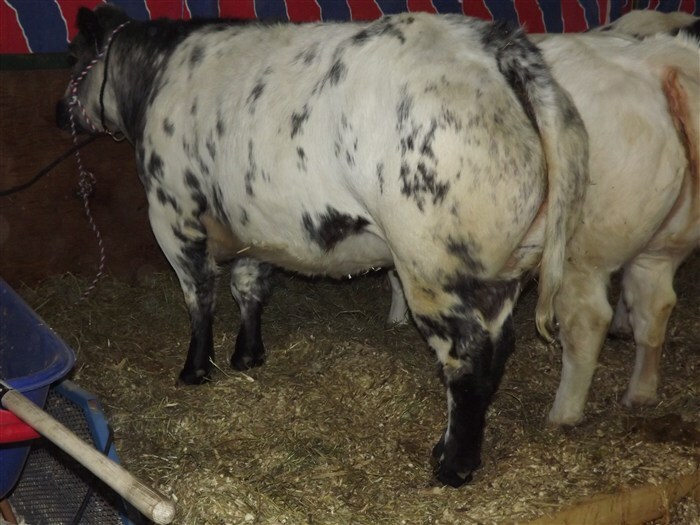 A couple of full blood females left for Alberta where a young breeder wants to establish his full blood herd. Marc Seguin, Belgian Blue breeder from Northern Ontario, explaining the benefits of crossbreeding with a Belgian Blue Bull to an interested commercial breeder. Pierre Mallieu, Secretary of the International Belgian Blue Association, left, Erica Miller, Marie Goubau, Ken Miller and Sam Dunlop manage the Association Stand for the whole week. Two impressive foundation cows belonging to Sam Dunlop and exhibited at Agribition 2011. We will send you a BBB gift. 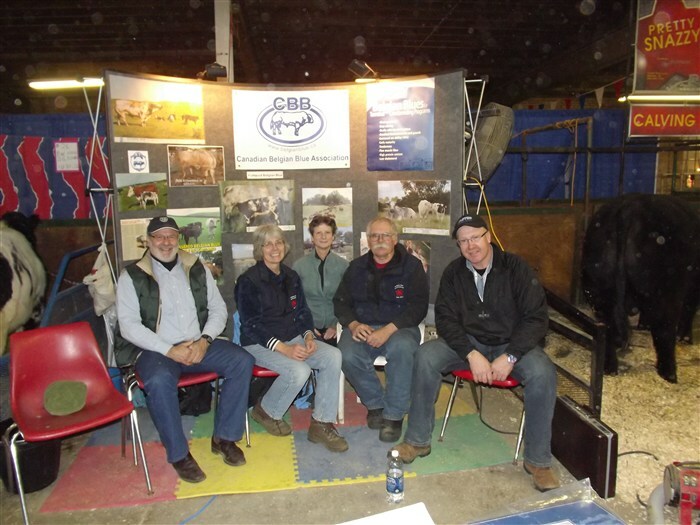 CBB members receive requests from breeders from across Canada and from breeders in countries worldwide who are seeking quality Canadian BBB genetics.